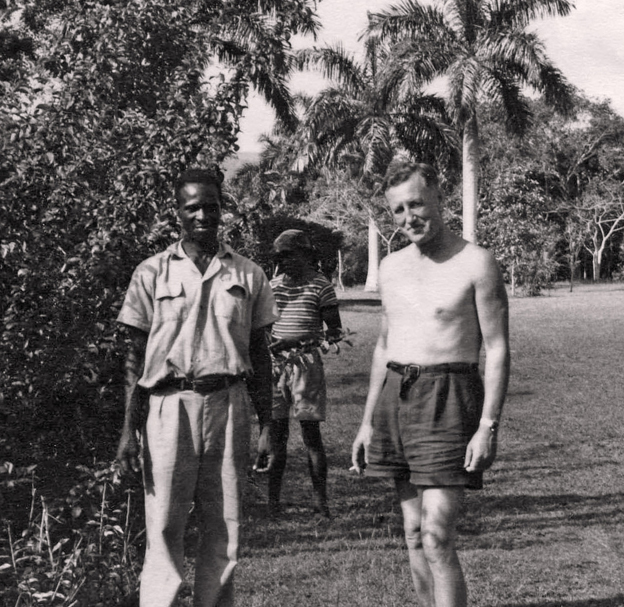 In 1942, an Anglo-American intelligence summit took Fleming to Jamaica. Impulsively, he declared that he would return to the island after the war and make it his home for life. Drawing on his Fleet Street years writing news coverage and his bureaucratic years of writing intelligence reports, he turned his talent to creating his enduring espionage hero, James Bond — a larger-than life version of Fleming, himself. The clothes were better. The gadgets were more dramatic. But Fleming rivaled Bond for pithy one-liners and romantic conquests. So it was here, in Jamaica, in the romantic, tropical, exotic surroundings of Oracabessa Bay, that Fleming’s imagination — and hard work — took hold. Sitting at his plain wooden desk, in a corner of the villa that he’d designed for himself, Fleming wrote every one of the 14 books that made James Bond the name that is now recognized in every corner of the planet. James, the most common of English names… Bond, a synonym for reliability, or an upscale street in the heart of Mayfair… But in fact, in whimsical fashion, Fleming simply lifted the name of an English ornithologist — the author of “Field Guide of Birds of the West Indies” — for his iconic, unforgettable, masculine hero.